Minecraft players who love the upside down of Stranger Things have a new skin pack to acquire. It's available now in concert with the new season of the hit retro-horror show on Netflix. 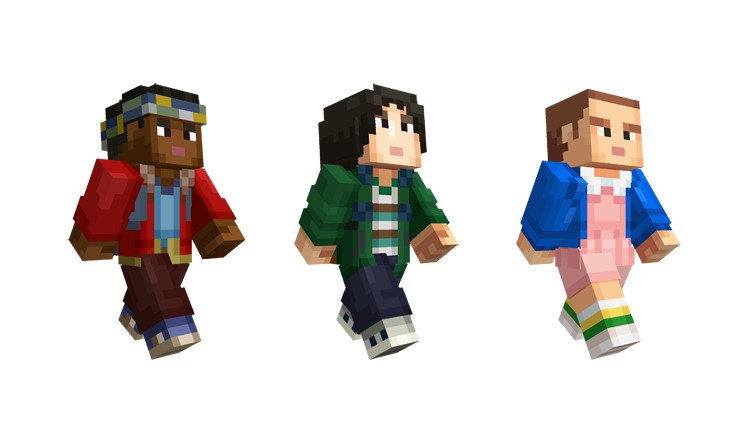 It looks like the whole cast is represented as a Minecraft character, including Hopper, Mike, Eleven, Dustin, Lucas and Will. Stick around to the end of that trailer and you'll see the Minecraft skin for that scary monster from the alternate universe, too. The skin pack is ready for purchase now on all “Bedrock” versions of Minecraft (which means mobile, Windows 10, and Xbox One for now) for $3 or 490 coins in the Minecraft Marketplace.